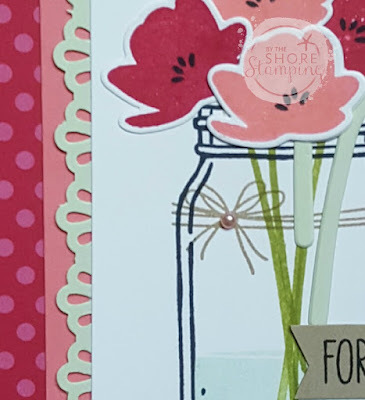 By The Shore Stamping with Jen Pitta: New Color Week: Day 5! Happy Friday! I have to admit Fridays don't have the same joy as they used to have when I worked 9 to 5 -- but that's because every day feels like Friday to me! I love being able to be my own boss, set my own schedule and save time for what is important to me. And with that in mind, I want to share the amazing starter kit deal with you today. 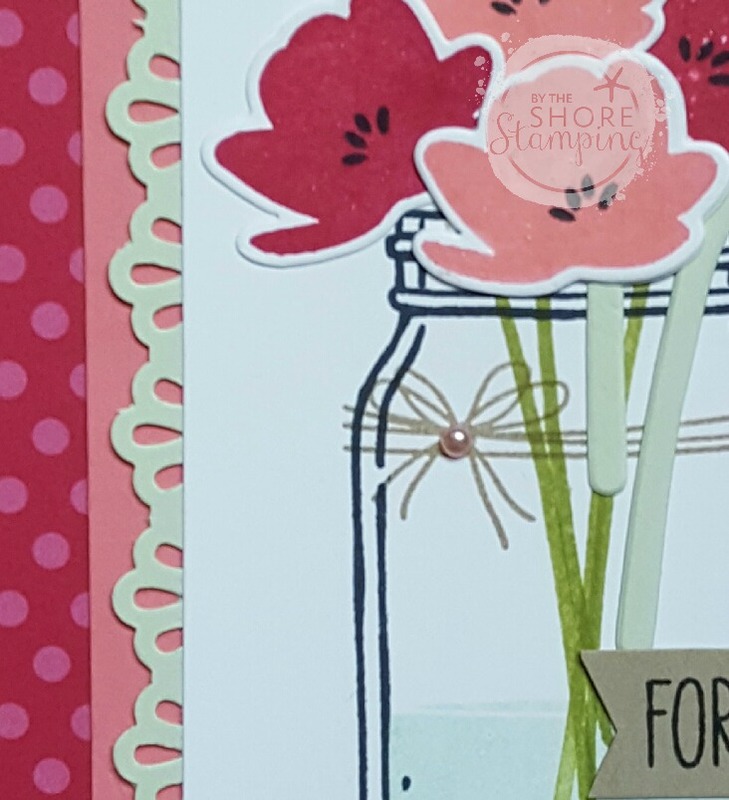 If you are finding a lot of new stamping toys you "must" have for your craft room, listen up. :) Did you know that for just $99 plus tax, you can select $125 worth of product of your choice... anything out of the catalog? Well, you can. And you know what's even better? You get a 20% discount on anything else you order moving forward (for as long as you're an active demonstrator). There is no obligation to sell or host events (you can totally buy the kit because it's an amazing deal), but hosting a class or two a month can cover the costs of all your own goodies, or even make you some extra cash to cover a bill or two! If you love to teach and love crafting -- this is a no-brainer! 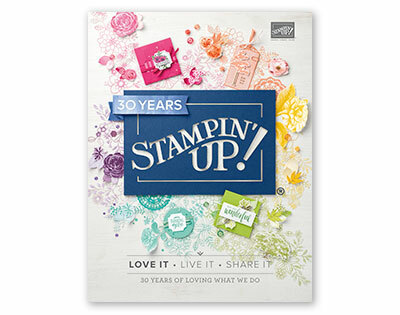 And if you just love Stampin' Up products, it's an amazing deal! 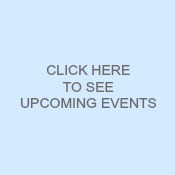 If you want more details about signing up with me and becoming a Shore Stamper, check out this page right HERE. 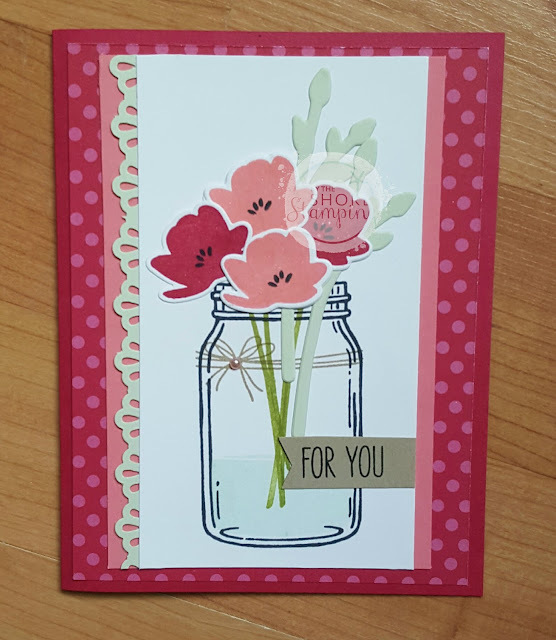 Okay, on to today's card! Our color inspiration today was Lovely Lipstick, Flirty Flamingo, Soft Sea Foam and of course some Crumb Cake thrown in. I also had to add a tiny bit of Pool Party for the water in my jar. Thanks so much for hanging out with me this week for New Color Week. If you want to read more about my New Color Club starting in July, read this post here (scroll to the bottom for Color Club details). Okay... have a great Friday and I'll see you right back here tomorrow with Day 6 of New Color Week!